A teenage girl, trying to enjoy her birthday, soon realizes that this is her final one. That is, if she can figure out who her killer is. She must relive that day, over and over again, dying in a different way each time. Can she solve her own murder? The film is at its best when the lead character “Tree,” played by Jessica Rothe, is uncaring and unsympathetic to her fellow students. But when the story turns sentimental, the film loses it's edge. Earlier this year the film “Before I Fall” used this plot devise but was pretty much humorless in its execution. 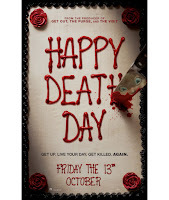 “Happy Death Day” finds a balance between thrills and humor, but doesn't maintain its equilibrium for very long. “Happy Death Day” is a mostly a watchable film but it will not make you forget “Groundhog's Day” nor will it stick in your mind longer than the walk to the parking lot. 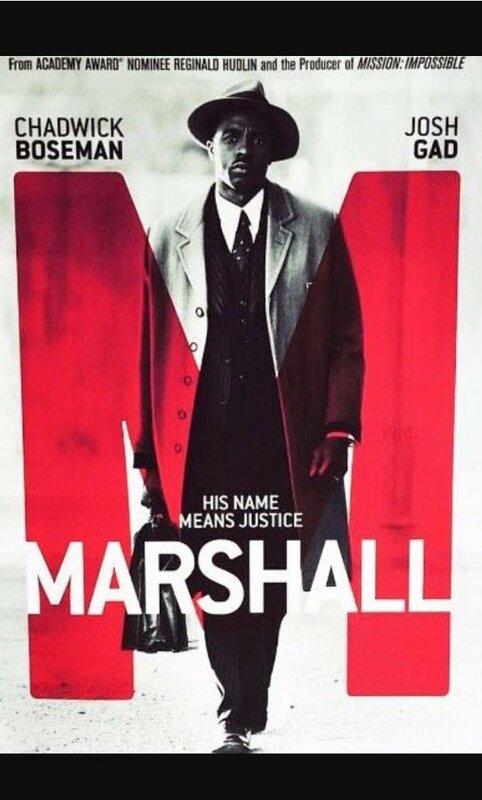 Although “Marshall” is a formula bio-pic, it's very good one whose cast, which includes Chadwick Boseman, Josh Gad, James Cromwell and Sterling K. Brown boosts this film to a higher level. 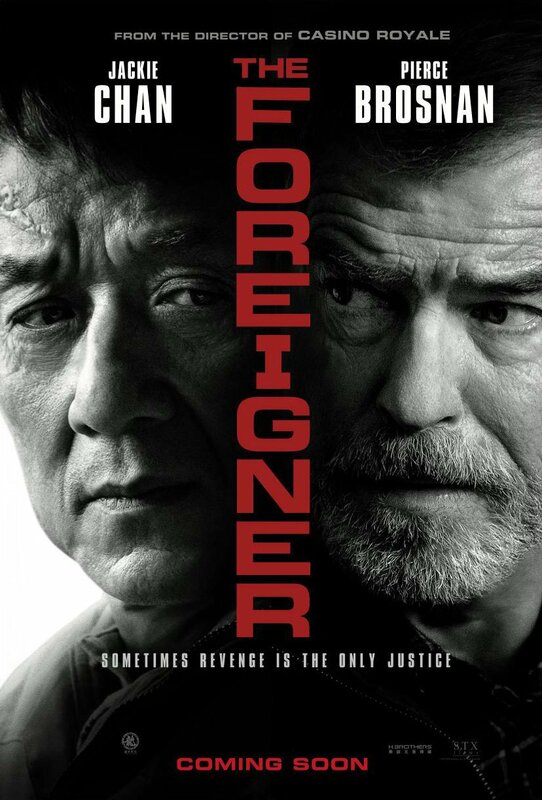 “The Foreigner” is a well-paced action thriller with Jackie Chan using his martial art skills in a dramatic way than he has in the past. Most of Chan's fighting in past films were for comedic effect, in “The Foreigner,” Chan manages to meet the challenge of mixing martial atrs with dramatic effect. Pierce Brosnan turns in an intensely focused performance as a government official who is trying to keep the status-quo between governments. “The Foreigner” is well worth your time to see.